commented on "Our Gelato and Sorbet is made on-site. We use the traditional method to make the Gelato (Ice Cream) which involves making the custard ..."
Our Gelato and Sorbet is made on-site. We use the traditional method to make the Gelato (Ice Cream) which involves making the custard from scratch, aging, churning or batch freezing and finally blast freezing. Although this involves a lot of effort it is worth it to get a very high quality product. We have developed our own unique recipes over the last 4 years. Our Gelato and Sorbet recipes have been altered to suit Kiwi taste buds - it is no longer an Italian imitation, it is "Kiwi Gelato and Sorbet" and we are very proud of it. 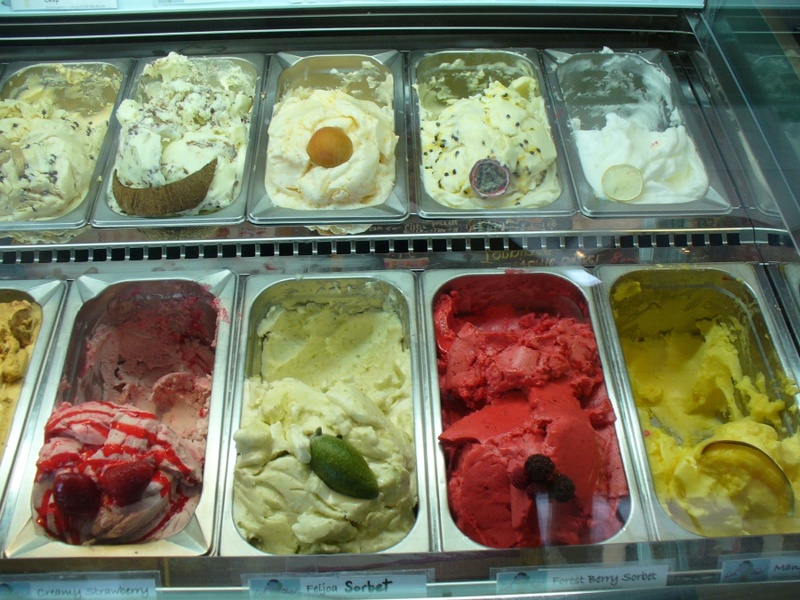 Gelato is denser than traditional Ice Cream because it has only around 30% "overrun" or air whipped in. Ice cream can be up to 50% air - that is why it is sold by the litre instead of kilo. Gelato contains around 6 - 7% fat, Ice Cream is generally 10% or more fat. Sorbet has virtually no fat and will contain between 30 to 40% fruit. We use local ingredients as much as possible - strawberries, boysenberries, feijoa, melon, apples etc. It is possible for us to develop unique flavours for particular customers. We only use the best of ingredients and steer clear of anything unnatural.